This paper is great for the scrapbooking genealogist. 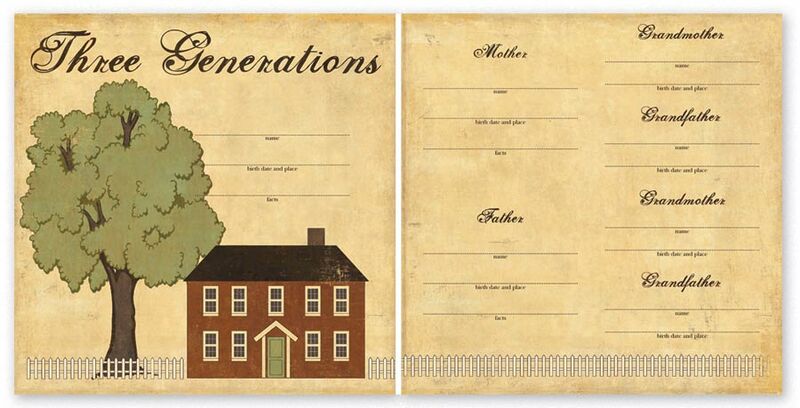 'Three Generations' from Paper Loft is a lovely family tree chart. A designated title box to write the name of your family in, and all you have to do it simply fill in the blanks. Buy two sheets, and place them side-by-side so they flow on rather than having to flip over - it makes it easier to read as well, and can be used side-by-side in a 12x24 flip-out page which is available (click on the link below).